I have to chuckle every time I hear somebody bring up the topic of the Inspector General (IG) to right a wrong in the Air Force. I don't chuckle because it's funny, I do so to fight back the sadness. The service has done a great job imparting to airman the perception that there is actually a system of accountability, although a recent Air Force Times article suggests that the perception isn't quite accurate. The perception is one of accountability, that there is a referee to cut through the politics and ego of bad commanders, and to make the right call when it comes to reprisal or regulations. The reality unfortunately is a Big Blue Hamster Wheel, designed to make the victim of reprisal show his or her cards so that the command can come up with a strategic response as required, and to make the victim run out of energy and hopefully give up trying to right the wrong. Chances of getting the wrong corrected through the IG lie somewhere between slim, and none, unless you happen to have some pull with somebody of influence. Politics trump objectivity. I have learned this from first hand experience. I have filed two IG complaints in my sixteen years of service, and both as a field grade officer. The first was a complaint against a squadron commander, two full bird colonels, a two star, and a four star, because the command was not complying with regulations that required commanders to give airmen time to work out during normal duty hours. Airmen working twelve hour days, without time to workout, would be punished if they failed the PT test and could be kicked out. I elevated my complaint up every rung of the IG ladder, all the way to the DoD IG. The result? It wasn't investigated, although an Air Force Audit Agency report came out as mine was at the Secretary of the Air Force (SAF) level, and it essentially said the same thing my complaint said. The solution? The regulation requiring commanders to give airmen time to work out during normal duty hours was removed. But my complaint wasn't worthy of even being investigated. The second complaint I filed, oddly enough not too long after the first one, alleged (again oddly enough) reprisal by that same command. I was given a letter of reprimand by my wing commander, a few months prior to my primary promotion board, and it was placed in my Officer Selection Record (OSR). It had two charges. One, that I had gotten pulled over for allegedly failing to signal a lane change, and arrested with that singular charge. Two, that I had lied in a conversation with Public Affairs (PA) over a story I was considering doing for the Air Force Times. I told the commander that the singular charge of failing to signal a lane change was false, and that I had been unlawfully arrested. He wasn't concerned and didn't wait for it to go to court (where the charge was dismissed), and he wasn't concerned when I told him I would be filing a lawsuit against the police officer in question (which was filed and is ongoing). I filed the IG complaint with the SAF/IG and, against my express wishes, they kicked it down to the IG of the command I said was retaliating against me. They evaluated whether I should be punished for the dismissed failure to signal charge, and they evaluated whether I had lied to PA. To help them evaluate that second charge, I provided the audio from the meeting in question with PA, which I had covertly and legally recorded because I expected retaliation from the command. The audio proved I had not lied, and that it was the PA lieutenant who worked for the wing commander who had lied. The result? The IG found no wrongdoing, and the wing commander went on to become a flag officer. In my experience, the IG is a complete waste of time. I don't recommend it to anybody who wants to correct a problem. As one of the IGs (a friend of mine) told me during the process, "remember, I work for the commander." Therein lies the problem, and the reason why the Air Force has such a dismal record when it comes to investigating reprisal complaints. It has been awhile since I read a post from Tom Ricks' blog and thought it was worth reading. 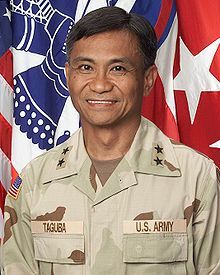 I was pleasantly surprised when I read this one about General Mario Taguba deserving recognition for his patriotic service, and how his integrity led to the end of his career. Great comments on the thread too, one being the comment from "Hunter" on how to contact the General and thank him for his service. If you don't know who he was, please read the Best Defense blog post on how this General showed integrity for the sake of America, regardless of how those above him felt about him doing so. Hunter provided this contact information from the General, and I encourage all to send him an email of thanks for his integrity, courage, and sacrifice on behalf of America. An active duty Marine is facing an administrative discharge for comments he made on his Facebook page dubbed Armed Forces Tea Party, according to various news reports. The charge levied against Gary Stein, according to the news report above, is using contemptuous words against the President and engaging in political activities. Reuters reports that the comment that got Stein in the government's crosshairs was, in Stein's paraphrased version, "I say screw Obama. I will not follow orders given by him to me." The article then says that Stein clarified the comment to mean he would not follow unlawful orders from the President, and that at one point the ACLU sent a letter to his commander in 2010 about his Facebook page stating, the ACLU "strongly supports the First Amendment rights of service members to discuss and critique the government's policies and conduct." Can those serving in the military critique government policy and conduct? The Reuters article quotes an Army veteran and radio host, Rick Rogers, who stated, "There's a firewall between the military and civilian politics -- you don't criticize the government while you're in uniform." I disagree with Rogers. There is nothing that prevents service members from criticizing the government. As to Stein, I think the "screw Obama" comment might be found to be contemptuous by the administrative discharge board. His clarified statement that he would refuse unlawful orders is perfectly fine, since it is expected and legally required of all who serve in uniform. Of course that doesn't mean the non-judicial administrative board will agree. It's unfortunate that the Corps has decided to pursue an administrative discharge board rather than go the court martial route. Administrative discharge boards for legal issues are, in my opinion, only used when the government is afraid that its claims might lose in the judicial branch because they can't withstand the scrutiny of the legal system. Stein is not a commissioned officer, so he did not violate Article 88. As to political activities, that would likely be difficult for the government to prove unless they have evidence that Stein was pushing a particular candidate or political party, and did so while representing the military. The administrative discharge board is not a legal proceeding, and Sgt Stein will not enjoy the benefits of the legal system when his "case" is heard. That is unfortunate. UPDATE: According to CNN, Stein also said in January that the President is "the 'Domestic Enemy' our oath speaks about." I think he's going to have a tougher time than I thought. Interesting piece today in the New York Times opinion sections. Greg Smith has pulled chocks from Goldman Sachs after twelve years. He has decided the firm's culture has lost its way. He calls it toxic and destructive. His article reminds me of things I read and learned while working on my master's thesis. He says the culture has lost its integrity, and leadership role models peddling nonsense to its clients in order to make a profit at their expense. He projects that this role modeling will take the firm down a worse road in ten years, and he doesn't want to be a part of it anymore. He says a few individuals in leadership lost the culture on their watch. I agree with Greg, an organization cannot survive if it loses sight of the interests of its clients, and replaces that interest with self interest and careerist ambition. If leadership loses its integrity and has no concern for doing what is right (accountability), and thinks ideas and principles are quaint "beliefs" that get in the way of the immediate goal, then a culture will become short sighted, and populated with inferiors who will ruin an organization like a swarm of locusts eating the hard work of superiors before them. There is a lesson to be learned here for all organizations, including those of us in the service. I thought this discussion of Attorney General Holder's policy speech at Northwestern was interesting, particularly the point made by Judge Napolitano that the same policy could be used to justify drone strikes within the United States. Post Civil War laws, ie Possee Comitatus, prohibit the military from using force in America in a law enforcement role. But law enforcement and military functions, as discussed in Holder's recent speech, are blending to meet, what the AG called, a unique threat that crossed all lines. There are already loopholes to Possee Comitatus that allow the military to operate domestically in cases related to the war on drugs. It's interesting to ponder whether something similar will be done in the case of the war on terror. I saw this topic come up recently in a conversation between military officers, and just wanted to throw my limited two cents out there since I've never commented on the 911 Commission's report before, or some of the ideas and theories that surround it. I'm glad that people question. Sincerely. I'm glad that they question everything. That being said, I just don't get these Truther claims. I'm not saying Truthers are nuts, but I am saying that I find Truther claims hard to stomach. I'm uninformed and haven't spent any time combing through arguments one way or another. But, whatever its errors, like any investigative product, I just cannot imagine the 911 Commission's report didn't get the essentials correct. I will not call Truthers crazy, and I like that they question and bring up important discussions that at the core are concerned with accountability and trust. We need those core items in our government, in our civil organizations, and in our personal daily lives. Accountability and trust are important, and the discussion illustrates how well we're doing here in America. But I am no Truther. Not by a long shot. 1. Must present an imminent threat of attack against the United States. Would be interesting to know how the AG defines imminent. 2. Capture cannot be feasible. Harrier jets flying from an amphibious carrier off the coast were ready to take a shot if the CIA drone missed. There was even an option for sending in Marine Ospreys with Special Operations Forces to collect any intelligence left after the strike, but that was never used. It was all part of a secret buildup which has occurred in and around Yemen as that country emerged as home to one of al Qaeda's most active branches. 3. Must be consistent with the laws of war. Many groups are calling for the legal memo to be released by the administration, so that the public can get a better understanding of the legal reasoning that shows such a killing is consistent with the laws of war. At this point, the government is fighting the release of that legal reasoning in court. There have been a couple of interesting speeches given by members of the government's legal establishment recently. The first, given on 22 February, was from the Pentagon's General Counsel, Mr. Jeh Johnson. He delivered his prepared speech to Yale Law school students. In it, he mentioned that, "My comments are general in nature about the U.S. military’s legal authority, and I do not comment on any operation in particular." Should the legal assessment of targeting a single identifiable military objective be any different in 2012 than it was in 1943, when the U.S. Navy targeted and shot down over the Pacific the aircraft flying Admiral Yamamoto, the commander of the Japanese navy during World War Two, with the specific intent of killing him? As an aside, I previously blogged about the Supreme Court Justice who, as a younger man, broke the code that led to the targeted killing of Admiral Yamamoto. While the justice did conclude it was legal, he admitted to being deeply troubled by it. The legality of this particular killing seems clear, since Yamamoto was a uniformed military member of a country that the American Congress had declared war against. Yamamoto was also not an American citizen, so the United States Constitution really doesn't weigh into that example from World War II. I think perhaps a more useful example Johnson could have used from that time period would have been the violation of the civil liberties of non-uniformed Japanese Americans who were suspected of treason, who did not present an imminent threat (as in the imminent kind of imminent threat), and who were not charged or tried where evidence could be presented. Unfortunately the Pentagon lawyer did not use that example in his speech. He goes on to say that, "I agree with Judge Bates of the federal district court in Washington, who ruled in 2010 that the judicial branch of government is simply not equipped to become involved in targeting decisions." Johnson footnotes the case brought by Anwar Al-Alawki's father to attempt to prevent the government from assassinating his American son. What I find the most interesting, far more so than Johnson's quasi-defense of assassinating American citizens, is the fact that he doesn't come out and explicitly say that the government has in fact engaged in such action. After all, most Americans and the media take the view that the government has essentially admitted to doing exactly that, without explicitly owning up to the action. Yesterday, Attorney General Eric Holder gave a speech to the students of the Northwestern law school, and according to the Associated Press (AP), gave a legal defense for the Al-Alawki assassination. According to the AP, "Holder's comments broke the administration's silence on the legal justifications for its decision to kill American-born al-Qaida operative Anwar al-Awlaki five months ago in Yemen." The article then follows that comment with, "... but he never explicitly acknowledged the administration responded by targeting the cleric for death." The article mentions that, "The Obama administration has refused to release the Justice Department legal opinion on al-Awlaki's killing under the Freedom of Information Act and is in court opposing efforts to have it made public." I have to wonder what silence the AP thinks is being broken here? I see nothing new. Most Americans believe their government has all but officially admitted that it has engaged in the assassination of at least one American citizen. The President gave a speech, widely viewed as a victory dance, when an American was assassinated by a drone. The Secretary of Defense admitted on 60 Minutes to assassinating an American citizen without due process. Now, top government lawyers are hitting up law schools and attempting to defend the assassination of Americans. Such public discussion only further bolsters the view that the government has time and again unofficially admitted to such action. Ironically, I don't think any legal hearts or minds will be swayed that such action is legal, if the government still will not officially confirm or deny what most Americans and media overwhelmingly believe to be fact. A legal defense that seems to take a page from OJ Simpson's book, If I Did It, doesn't seem destined to be convincing. Perhaps the Yale and Northwestern law students felt differently. I have previously blogged about my legal understanding of the issue here. I've blogged about military personnel taking their political views into the public space several times now. This is perhaps the most interesting example. An Air Force officer and aviator puts on a Guy Fawkes mask, shares his views on foreign policy, fiscal policy, and then recommends a political candidate. He also makes it a point to mention that he took an oath to defend the Constitution, and says that the biggest threat to it today is domestic and not foreign. The Captain then apparently explains why he made the video on the Daily Paul website. This deserves a much better discussion. I'm too tired to comment right now, so I'll just share the video at this point.